You have wept long enough, says the Lord. It is time to rejoice. It is time to laugh. For I have heard the cry of your heart, and kept your tears before Me as a memorial of your pain. When you hurt, I hurt. When you weep, it touches My heart. I get no pleasure out of your pain, and I feel all that which brings you grief. Enough! It’s time for a new sound coming from you: a sound of exceeding joy and laughter. It’s time for you to sing again, from a joyful heart, says the Lord. For I will invade the darkness with the light of My glory, says the LORD. I will turn things around for you. I will raise you up, and you will rise to the top of defeat, as the victor. The time of mourning is over, and the time of celebration begins. I celebrate you, and your life that I created for purpose and My pleasure. I celebrate you as the work of My hands. I celebrate you as My beloved child, and like a pearl of great price, I have purchased you as My own. Now is the time for you to celebrate the life that I have given you, that is eternal. 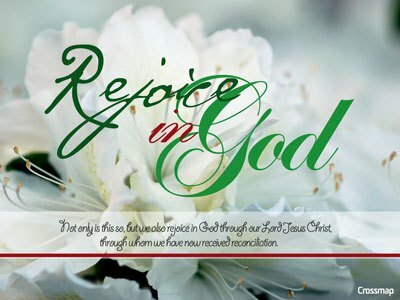 Celebrate and rejoice in Me, for my goodness and mercy. For this is a day of renewal, and this is a day of rejoicing, and this is a day that you can rejoice, and be glad in it, says the Lord.